October 3, 2018. 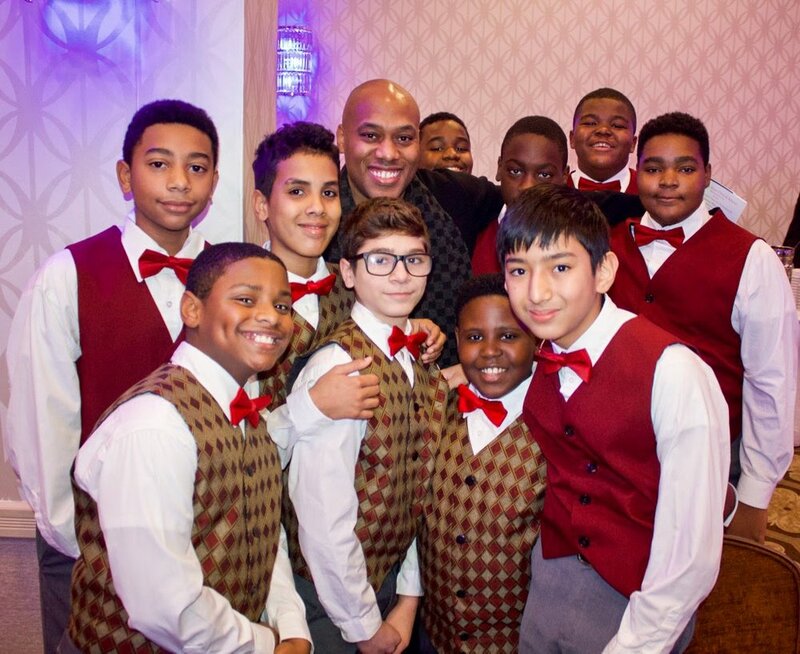 Multi-platinum artist, producer and songwriter, Mario Winans, has compressed and compiled the tools that he has utilized in creating hit records and award winning songs for the Newark Boys Chorus School Songwriting Program. This Program will deliver a basic overview of the skills, practices and teachings that Mario has developed in his almost 30 year music career. It will teach students the importance of songwriting in traditional and contemporary music, the essential elements of a hit song, the relationship between the songwriter, producer and recording artist, and provide them with an overview of the tools that Mario has used to enhance his musical career and elevate his skills. Having contributed to hundreds of compositions in his career, Mario's aim is to instill students with personal knowledge to prepare them to write songs, critically evaluate their creations, understand the essentials of composition, and recognize the business and relationship dynamics that continue to evolve in the music industry. The Songwriters Workshop begins today and will continue throughout the school year. Look for video postings on this page as our students’ creations take shape! Songwriters’ Workshop maestro, Mario Winans, with some of his songwriters.